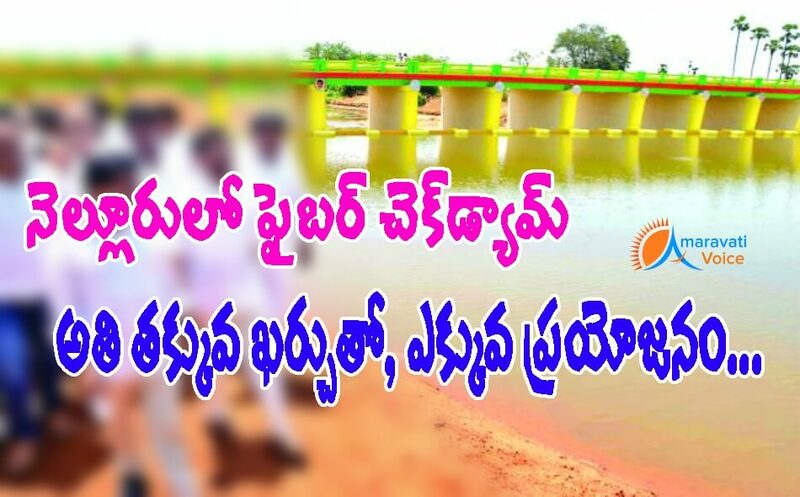 A newly constructed innovative fibre check dam in Jaladanki village in Udayagiri upland area in Nellore district is the talk of the town now in Andhra Pradesh. This check dam is storing water of nearly 1.9 lakh liters. But more than that, this model check dam is grabbing more attention. Once Built it can be used for 40 years with easy maintenance. The fibre glass plates can be easily lifted and taken away when there are high floods.